Big fan of the site and have been following for a while. I now am in a position where I need advice. Recently had my watch serviced and Tourneau sent to Manufacturer in Switzerland, I just want a full service but manufacturer is requiring a full service and dial replacement. Which is cost money through the roof. Would you be able to advise on alternate options? Maybe I can email you more specifics? I really just want the watch to tell time and I do want the vintage feel of the watch. I've heard of. Ifhtmare stories on dial replacements that take away the vintage feel of the watch. This is the problem with Tonneau and other agencies that are connected to Omega: they are instructed to send vintages watches to Bienne for, as you have discovered, very expensive, and not necessarily sympathetic refurbishments. I do wish Omega would get its head around the fact that collectibles demand as much originality as is possible and by going to town on a vintage Omega the collecting value is severely compromised. 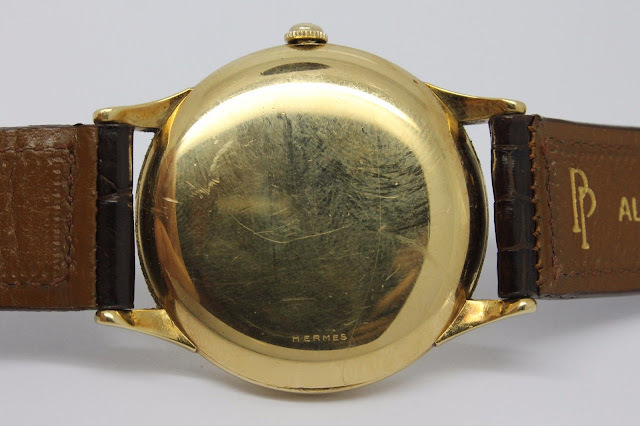 I would ask for the watch back, source an independent watchmaker nearby who can demonstrate that he knows his way around Omega vintage, and instruct him to clean, oil and regulate. 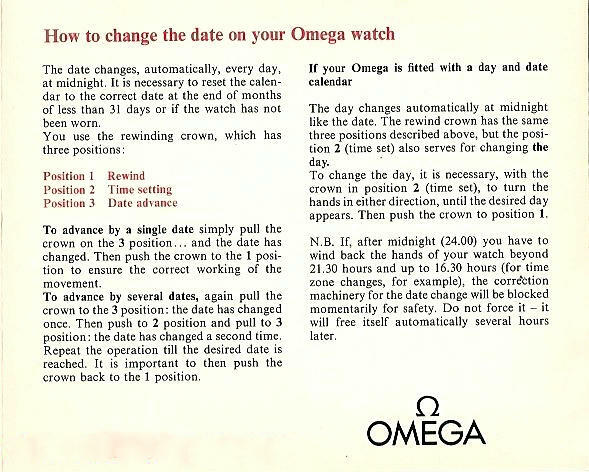 Hi Desmond, I have an Omega self-winding Constellation 561 and need to know if this model was designed to also be capable of being manually wound. I'm having difficulty with it is manual winding is possible. Thanks for any help. Yes, indeed, all automatic movements should be able to be manually wound. 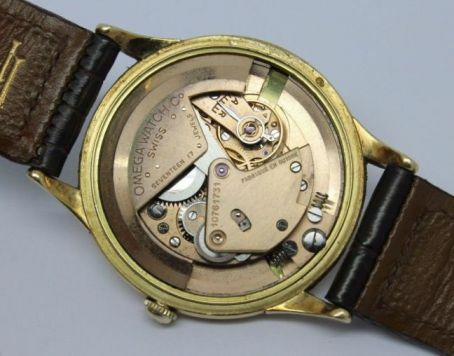 The fact you're having trouble winding the movement indicates that something needs attention. It could as simple as the lubrication being dry and congealed, or perhaps a little more ominous with issues around the crown or ratchet wheels. That said, it's important for the watch to be looked at by an independent watchmaker in your area. I would not have the watch running until the problem is rectified. I recently purchased a Omega Seamaster Chronogrph with the 321 movement. However, I have suspicion that the dial has been altered. 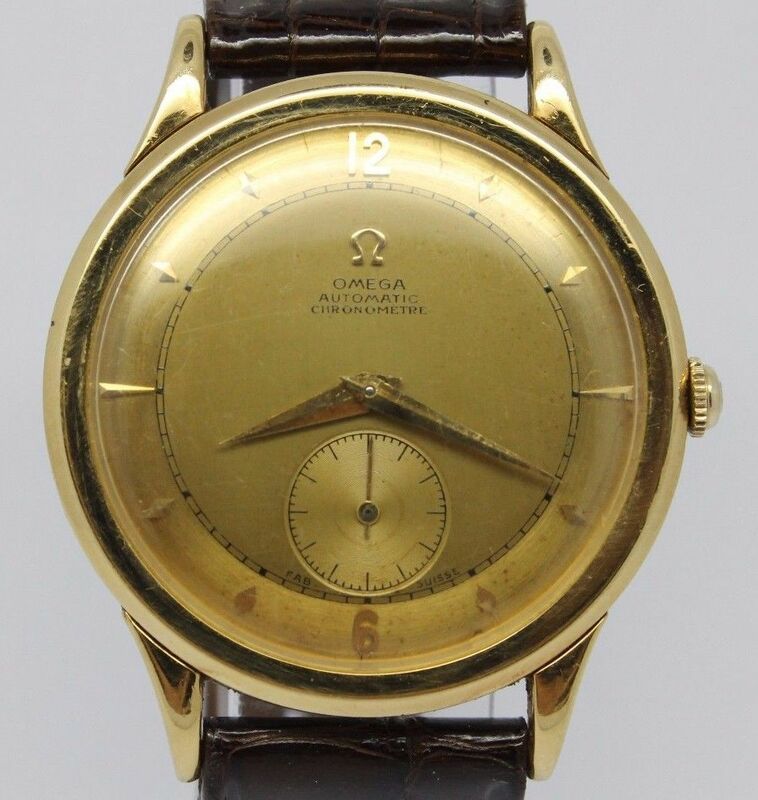 My friend referred me to you as you have extensive knowledge about Omega vintage watches. Are you able to help me out if I can send you some photos please? Best check with the chronograph guys on Omega Forums. They have more expertise in this type of tool watch. You can down load pics and attach them on a post by first uploading them to Photobucket. Hi Graham, yes I remember your "officially certified" centenary, which I later confirmed were some of the last iterations of the model. Probably the best option for selling, apart from auctions or eBay, are the sales forums of Watchuseek, Purist Pro or Omega forums. Thanks Desmond, much obliged for the advice, always appreciated. EBay is good if you want to get a reasonable price. 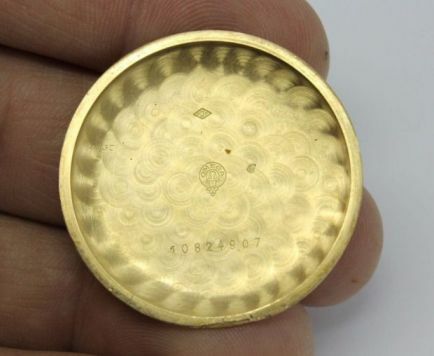 Good pictures of the dial, movement, inner caseback, and a detailed description of the watch in the listing will gain you market value. There are some watch sites like watchuseek that have sales forums, while other forums require a minimum number of posts to gain access to the sales forums. Probably the worst place you can sell is to a vintage dealership who will want to pay a minimal price.